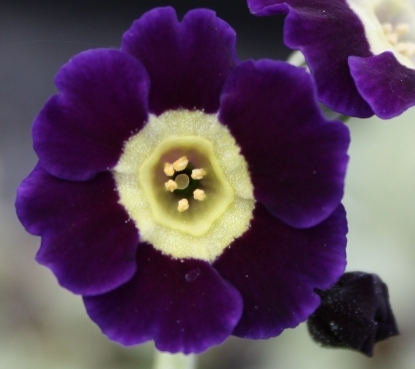 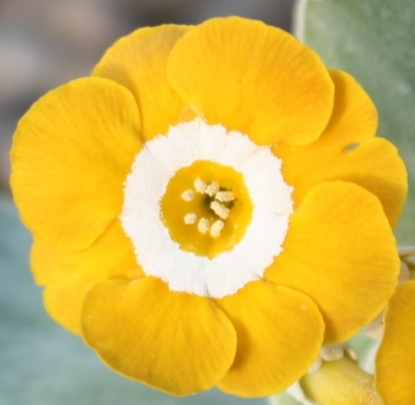 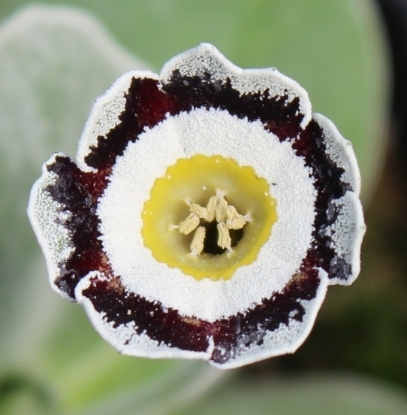 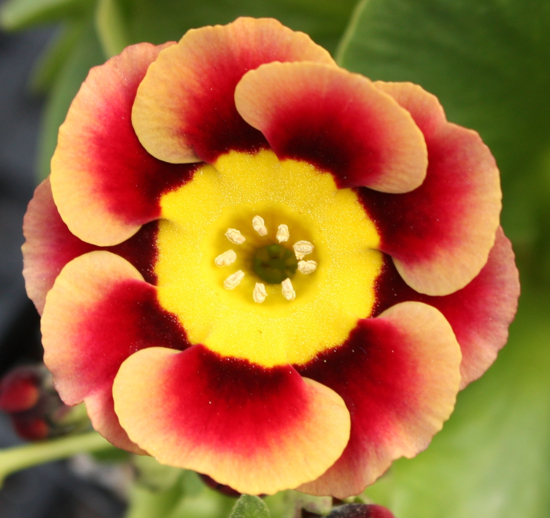 -Ready late March 2019- A gold centered alpine auricula with a mixture of orange, bronze and ruby-red tones in the petals. 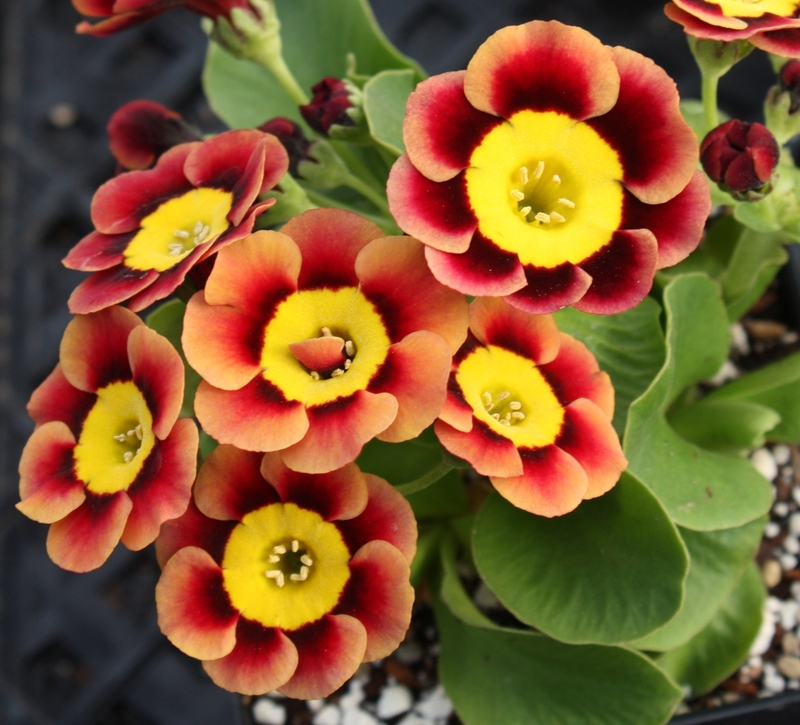 Grows in most well drained garden soils. 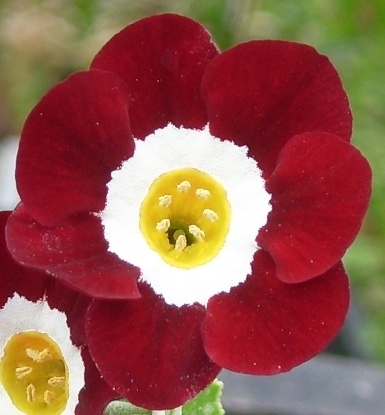 Full sun is fine in higher elevation and/or cooler regions, otherwise needs a place without afternoon heat.